The Partnership held its 2019 Annual Awards Banquet at The Mill Conference Center on Tuesday evening, January 29. Each year, the Banquet highlights successes and milestones of the Partnership’s program of work from the previous year. During the event, an impressive slate of annual awards is announced, and the Partnership was excited to report updates from last year and look ahead to 2019, and looks forward to cultivating strategic relationships that foster education, entrepreneurship, diversity, and unique Starkville experiences. Each is awarded based on nominations and a selection process conducted by the various Partnership boards and partner organizations. 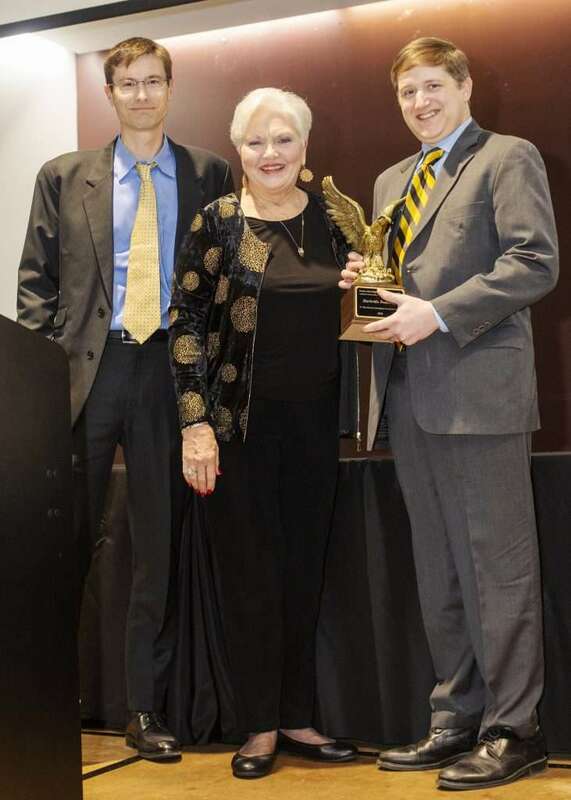 The coveted awards recognize excellence in several areas related to the growth and progress of Starkville along with the Partnership’s core strategies, including economic impact, downtown revitalization, community service, business growth, and education. 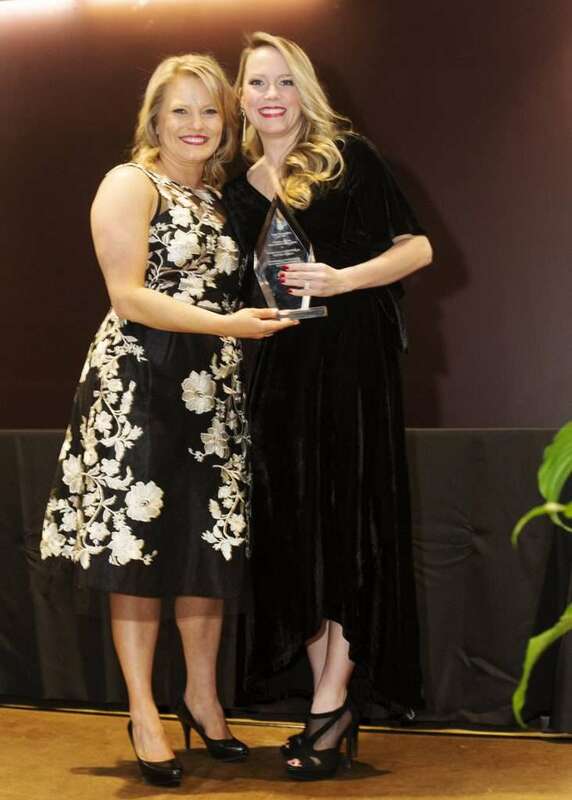 Formerly known as the Education Hall of Fame, Teachers of Distinction awards are selected and presented by SOAR (Starkville-Oktibbeha Achieving Results), an affiliate of the CREATE Foundation. The purpose of the awards is to recognize & reward educators of distinction who are making difference with K-12 students in the Starkville/Oktibbeha County area. Each winner receives $1000. SOAR awarded three 2018 Teachers of Distinction awards during the Annual Banquet. 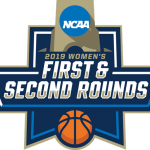 Awards were presented to Denise Adair, Mallory Carlisle, and Carrie Perkins. 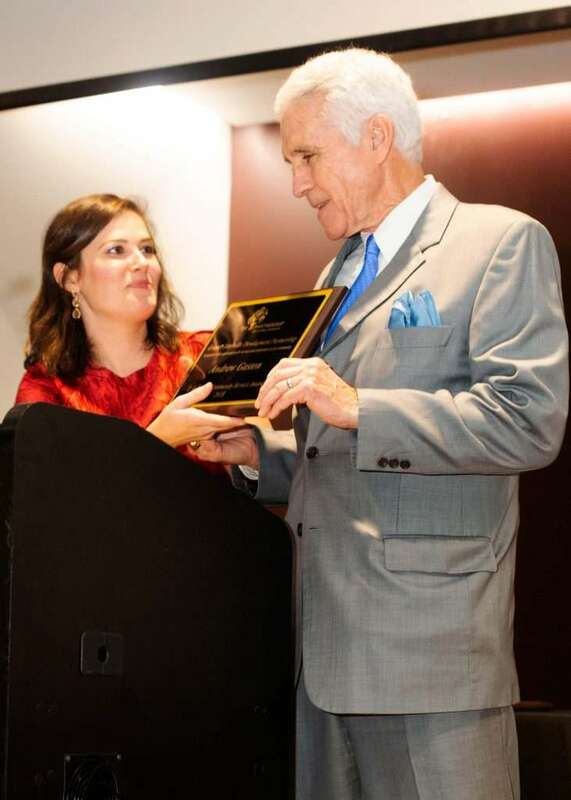 The Steve Langston Downtown Revitalization Award is presented annually to an individual that represents the spirit and commitment to Downtown Starkville that has led to the revitalization we currently enjoy. 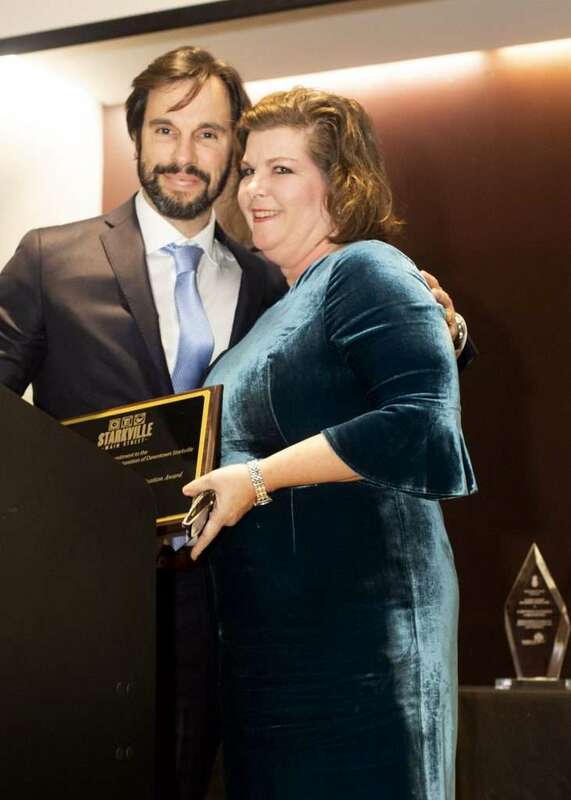 The 2018 award was presented to Mrs. Michelle Jones. As Chairman of the Starkville Convention and Visitors Bureau in 2007, Michelle was instrumental in her role to partner with Mississippi Main Street Association to provide the Starkville community with a 5 day intensive planning session, which provided a path for transformation of the Downtown area. Following Starkville’s accreditation as a certified Main Street Association, Michelle joined the Executive Board, later serving two terms as the Chairman. For over ten years, Michelle has dedicated her time to advocate to keep Starkville’s history in tact while at the same time continually striving to take the steps to move the community forward. Her passion to promote the enhancement and livability of Starkville has been a key component to the implementation of a strong strategic plan that has been used to guide Starkville’s growth and development over the years. The Partnership Ambassadors program is an important member-led volunteer group responsible for offering much logistical support for Partnership activities. Ambassadors also serve as a welcoming body for various functions and activities of the Partnership. Also, these ambassadors ensure member participation, attend ribbon cutting ceremonies, recruit and retain Partnership members, stay abreast of current events related to the Partnership, promote a strong business community, and attend monthly meetings. An outstanding individual is chosen by the Ambassadors each year to be recognized as Ambassador of the Year. 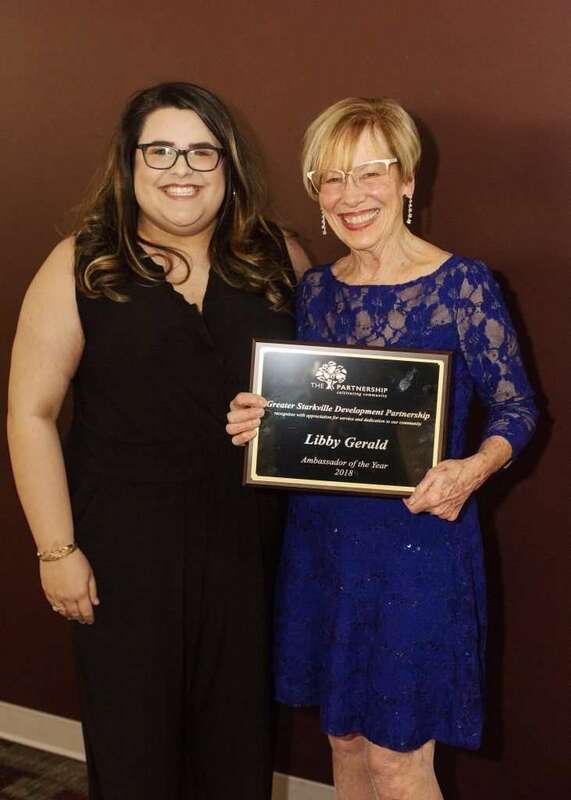 The 2017 award was presented to Libby Gerald. Gerald most recently served as President of the Partnership Ambassadors. The Crystal Pineapple Tourism Award recognizes and celebrates the success of an individual, business, or organization that has contributed significantly to the success of tourism in the Starkville community. Award recipients are selected by the Partnership’s Convention and Visitors Bureau division. The 2018 Pineapple was awarded to Orientation and Events of the Mississippi State University Office of Admissions & Scholarships. Directed by Kylie Forrester, MSU Orientation and Events hosts thousands of incoming MSU Freshmen and Transfer students each summer & school year to welcome future bulldogs and their families to Mississippi’s College Town, some of whom are visiting for the first time. 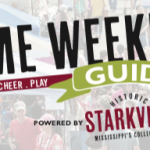 This past year Orientation and Events introduced a new Dine Around Downtown which guided orientation students and their families to dine and shop throughout the city of Starkville. In the summer of 2018 alone, the city saw a 40% increase in 2% food and beverage tax with more than 45,000$ going back into our local restaurants in the month of June. The T. E. Veitch Community Service Award recognizes members of the community who have performed outstanding community service and civic contributions, and is one of the most prestigious offered by the Partnership. The 2018 award was presented to Andrew Gaston. Mr. Gaston has made it a part of his daily life to implicate a valuable lesson learned from his father – Always give back to your community that has given you an opportunity to experience a good life. Celebrating 80 years of business this past year, and being one of the longest-running local businesses in Starkville, Gaston’s two longest running customers include Mississippi State University and the Starkville-Oktibbeha Consolidated School District, both of which received monetary donations from the company this past year. Established in 1995 through the R. Clay Simmons Foundation and The Greater Starkville Development Partnership, the R. Clay Simmons Exemplary Enterprise Award recognizes a business that has made outstanding contributions to the community through civic involvement, educational advancement, and economic development, and has demonstrated superior business practices. The 2018 award was presented to Starkville Radiology. Starkville Radiology not only financially supports but also invests time and dedication to numerous youth activities, they also contribute to the Helping Hands Local Project each year, as well as Volunteer Starkville.